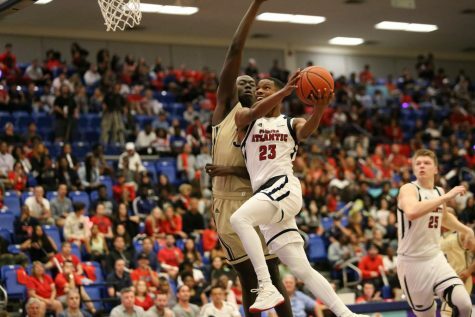 Owl guard Stefan Moody has left FAU and transferred to Kilgore College, a community college in Texas, due to academic struggles. Moody averaged 15.7 points and 4.3 rebounds during his freshman year. Photo courtesy of Middle Tennessee State University. Stefan Moody is one and done with the Owls. 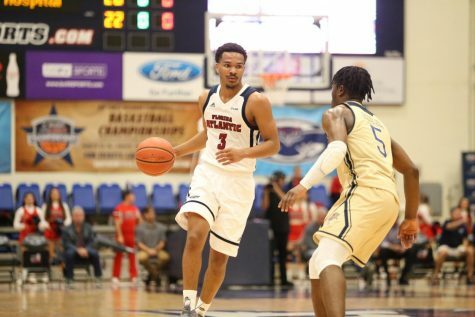 The soon-to-be sophomore guard has left FAU and transferred to Kilgore College, a community college in Texas, due to academic struggles. 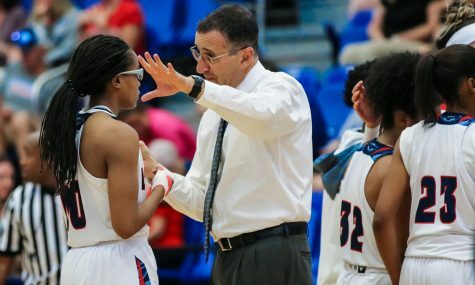 Kilgore Assistant Coach Joe Reagan confirmed the news on Twitter. 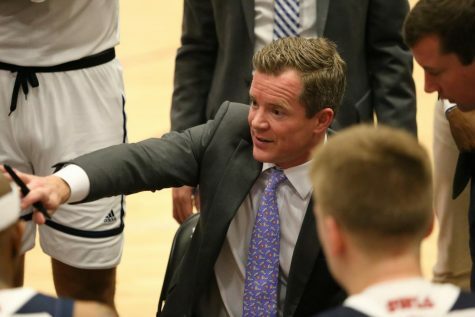 “Would love to welcome Stefan Moody to our team he is a D1 transfer from FAU,” Reagan tweeted. The move is hardly surprising, as Moody was suspended for three games last season, initially rumored to be due to poor academics. 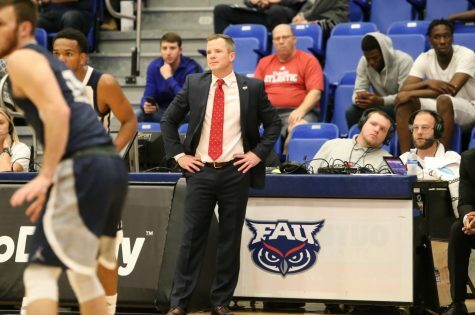 According to the Sun Sentinel, however, FAU Head Coach Mike Jarvis later confirmed that it was a drug-related suspension. Moody was a highly-touted recruit going into his collegiate career. As a senior at Poinciana High School, he averaged 27.9 points per game while leading his team to a 20-10 record. 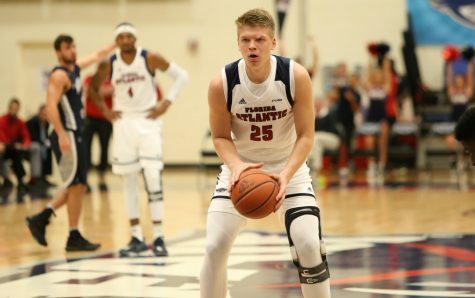 At FAU, Moody, a noted leaper, impressed teammates with his athleticism. 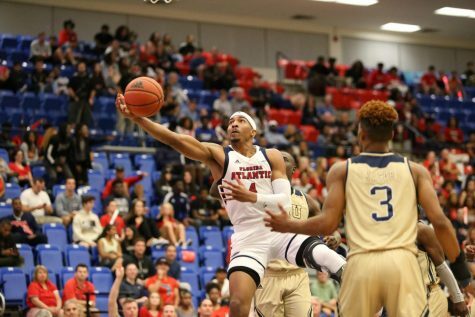 “[Moody’s] a beast…jumps out of the gym,” said Greg Gantt, the Owls’ all-time leading scorer, last season. Moody’s 15.7 points per game made him a viable option in the Owls’ offense last season. He also averaged 4.3 rebounds and two assists in his freshman campaign, earning him second-team All-Sun Belt honors. 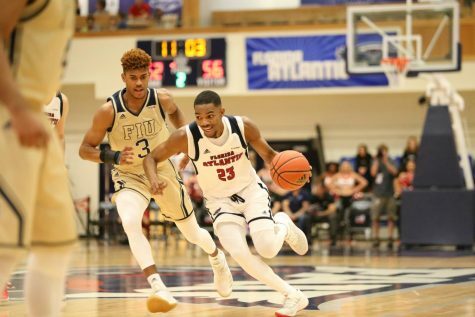 This marks the third FAU departure this offseason, as guard Cavon Baker and forward Chris Bryant have also transferred to different programs.